Volume Five: Crazy Wisdom, Illusion's Game, Life of Marpa, Rain of Wisdom, Sadhana of Mahamudra, and Selected Writings. 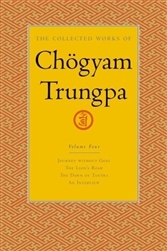 The Collected Works of Chögyam Trungpa brings together in eight volumes the writings of the first and most influential and inspirational Tibetan teacher to present Buddhism in the West. Organized by theme, the collection includes full-length books as well as articles, seminar transcripts, poems, plays, and interviews, many of which have never before been available in book form. 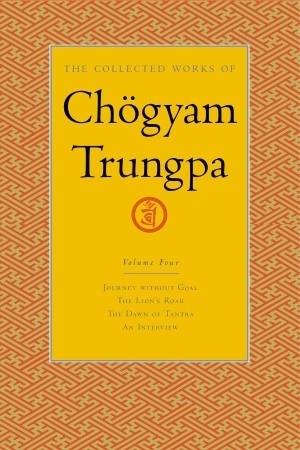 From memoirs of his escape from Chinese-occupied Tibet to insightful discussions of psychology, mind, and meditation; from original verse and calligraphy to the esoteric lore of tantric Buddhism—the impressive range of Trungpa's vision, talents, and teachings is showcased in this landmark series.